Things have been extra busy lately in my house. Leaving the house early in the morning and coming home hungry. I spend my drive home thinking of what I will make that evening. Today, I decided that I would take the time to make my mornings a little less hectic by making a batch of muffins for breakfasts throughout the week. I decided on corn muffins and searched my trusty Joy of Cooking when I got home. After reading a few, I decided to wing it and cobble a couple different ones together to make the texture and sweetness level I was craving. After a long busy day, most people wouldn’t want to spend a lot of time in the kitchen but, for me, that is the most relaxing time of my day. I love the feeling of calm that comes over me in the kitchen. It is like there is nothing I can’t do, nothing I can’t fix, when I getting in the mood to cook.This isn’t because of an over inflated sense of confidence in the kitchen but rather a love of learning and experiencing new foods. I am by no means a trained chef or even a well rounded amateur. I just love food. Cooking it, eating, and, most importantly, sharing it with others. I make it my mission to learn the most about I can about the foods I love and keep on discovering new ones. I love the sweetness that corn brings as both a savory or sweet ingredient. With the garden in full swing, the Roomies and I have been eating a lot of corn. Roasted, steamed, in soups and fried rice, every which way. You would think I would get sick of it…Nope! I just love it more and more. 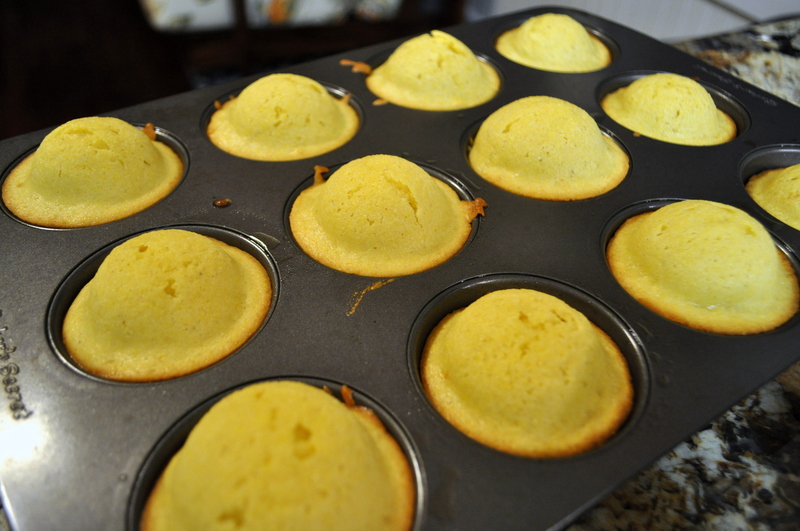 So much so that I made corn muffins to keep the theme going. These are buttery, slightly sweet muffins full of flavor to start the day off right (or to eat as a midnight snack with some berries and ice cream!). I can’t wait to have one of these in the car tomorrow morning! Maybe I will even top it with some Papaya Jam. Yum! Melted butter – Kerrygold is so beautiful when it is melted! Muffin is the solution for ultimate snack craving. Which are your fav muffins BTW? How about you? What are your favorites?